Altogether, I think we ought to read only books that bite and sting us. why bother reading it in the ?rst place? So that it can make us happy, as you put it? far from any human presence, like suicide. Franz Kafka regarded oneself as "a beast". The beast which lives in the darkness of the forest. On all pages of all works, I smell the darkness. in the depth of the darkness of the jet black. "Burnt all my works", and the will appeared, but it was not realized. In fact ...... I am weak in the sun, too. I will assume fragrance of the darkness a sound. JINMO's "fragrance of the darkness" rises after the production period of seven months. ultra complex orchestration in Plectics System. The music that bite and sting us. Smash and destroy the frozen sea within us with these four movements. 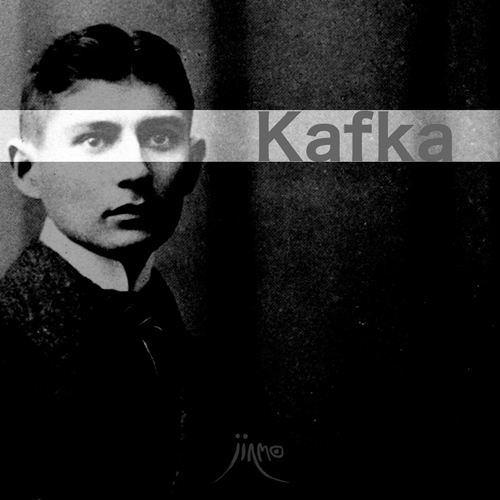 The original word whole sentence of "Die Verwandlung (The Metamorphosis)"
which is Kafka's masterpiece and is also a favorite book of JINMO is appended. "That is what I believe."